One caveat of using an iPhone or iPad is that you have to utilize iTunes and the App Store to obtain/sync music and apps (legally anyways). 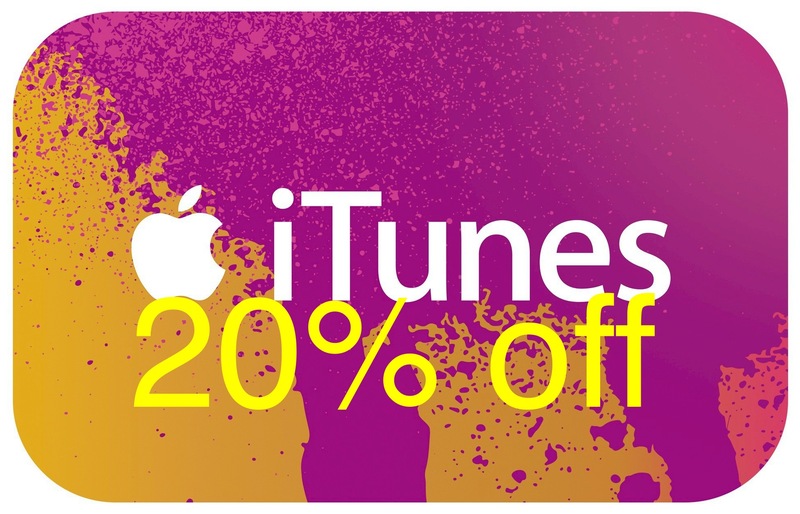 Fortunately for iOS users, iTunes gift cards occasionally go on sale, in this case 20% off, special thanks to Paypal digital cards. Now – when are we going to get a discount on Google Play cards? eBay is hosting the sale for a limited time, what apps/games/music/movies are you gonna get with your new iTunes $$$? Click here to buy $50 iTunes gift card for $40. Click here to buy $100 iTunes gift card for $80. Also don’t forget to enter our Chromecast International Giveaway and NsStar iPhone 6 case Giveaway!